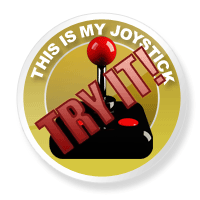 Review: Call of Duty: Black Ops Review - This Is My Joystick! Even if you don’t like Call of Duty, you have to admit that last year’s Modern Warfare 2 did rather well at its launch, drawing in a huge number of sales ruined only slightly by the Infinty Ward snafu a couple of months later. However, this year is Treyarch’s year and they are taking us to back to the Cold War. Can it match up to last year’s blockbuster or should this game never have got off the boat? 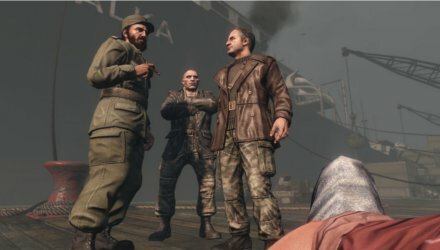 Black Ops is set during the Cold War, which perhaps is one of the best settings not used by the vast majority of the industry. You play (most of the time) as Alex Mason, an American Black Operative who is one of the best his country can offer (as a certain historical personality states). You play your way through several of the Cold War’s hot points, from Cuba to Russia to Vietnam, all on a mission to prevent the forces of Communism from taking over the world through its evil schemes. It ties successfully into the “Cold War Paranoia” idea, from the number stations to lots of redacting of information, all the way through to fiendish plans you’ll eventually have to stop. It also goes through some amazing set pieces, my particular favourite has to be your brief part in the defence of Khe Sahn in Vietnam, where everything goes from a perfectly normal day at a military base to complete mayhem in only a few minutes. Other points of interest include stopping a Soviet Rocket launch, fighting your way through the aftermath of a chemical weapons attack in a hazmat suit and taking on dual roles of both the CIA team on the ground and an SR71 observer up in the atmosphere guiding them around enemy patrols as you attack a snowy base up in the Ural Mountains. I love nearly all of the set pieces but I have some significant issues with the plot as a whole. Unfortunately I really can’t mention them exactly without spoiling the game. Pretty much I just played through the story to go between the set pieces as opposed to last year’s entry in the Call of Duty series whose plot actually had me interested from start to finish. Despite a link back to World of War, the returning character has nowhere the same “OMG” introduction that Captain Price had in Modern Warfare 2. Play for the set pieces, not for the plot. To be brutally honest, Black Ops plays almost exactly like every other Call of Duty past number four. You run, sprint, aim down the sights, fire, throw a grenade just like you’ve done for the past few years now. There are some changes; there is now a dive function if you sprint and then go prone which I’m not a great fan of; it lifts you up higher before you land which in many cases is the last thing you want to do. It is much better to see a wider variety of weapons in Black Ops than in previous games. In single player, there are so very few weapons which lack any sort of attachment; even if most of the time they are simply just extended or dual magazines. This does make finding new weapons much cooler and is better as you get to try out many attachments before you buy them in multiplayer. 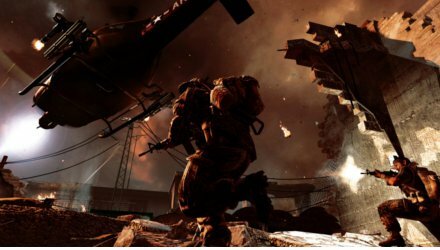 In terms of the weapons themselves, most are what you expect from a Call of Duty game but there are one or two prototype weapons (such as the devastating chain lake or the G11 assault rifle) to fit in with the new setting and themes of being part of a top-secret team. Black Ops is still running on the engine from Modern Warfare 2 and it looks as good, if not, better. Treyarch have tweaked some of the visuals so it looks closer to World at War in terms of style and lighting. They also really like their fire effects and seems to sprinkle the entire game with them, including the flamethrower attachment you can put on your assault rifle and the ‘Nam era obligatory napalm usage. Character animation seems to have improved dramatically since last year’s game, in part due to Treyarch’s system of motion capture, which is the same as that used by Mr Cameron in Avatar. It makes the characters look realistic without straying into the Uncanny Valley. Overall it looks pretty damn good. Audio is another area I really like. The voice acting in the campaign is superb in most cases from Gary Oldman’s dual roles to Ice Cube’s role as Bowman, one of your key teammates. My personal favourite is Ed Harris, who has a great turn as Hudson, a CIA handler and badass whose actions become even better with Harris’s gravelly voice behind it all. Unfortunately, the main character is a bit chattier than Ramirez or Roach and it’s a shame he is voiced by Sam Worthington (of Avatar fame) who can’t seem to exactly nail the accent and keep it throughout the game, with it varying wildly from its correct Alaskan out to Australian in certain cases. However, the action sounds awesome, especially over a good sound system. There are a couple of licensed tracks, primarily used to evoke the feel of a Vietnam War movie but I was actually surprised at the original soundtrack in the game which I really enjoyed listening to as it perfectly sets the atmosphere for the levels while also coming in at the perfect moments. The main draw of any Call of Duty game is the multiplayer. In this respect I think Treyarch have done really well in crafting a great experience using the basics of the standard Call of Duty formula. All the modes we know and love are in along with a few tweaks. The first is to the crack-cocaine substitute known as the levelling up system. Weapons are still unlocked at each level but perks, attachments and much of the non-gameplay customisation are bought via COD Points which are earned by playing games or fulfilling contracts (time limited challenges). This is a double-edged sword; you unlock what you want when you want, but at level 20 you have probably unlocked everything you want or need to. Another use for these COD points is wager matches, where you can gamble a small amount of COD points to gain entry and attempt to win it back if you come in the top three. These game modes are a load of fun and despite not being a gambling man (or very good) I have enjoyed my time on these modes a lot. They all seem to encourage a different style of play from One in the Chamber (where each player has only one round in their pistol and have to get more via knife kills in order to be the last man standing) to Sharpshooter (where the weapons switch every 45 seconds to any random gun and attachments). All four of the modes are really enjoyable and a blast to play. The game has also introduced bots into a multiplayer mode called “Combat Training”, which allows players to practise both alongside and against bots on all the various maps in both deathmatch and team deathmatch. It’s a shame it doesn’t include the more complex modes but the bots are good enough to present a challenge. 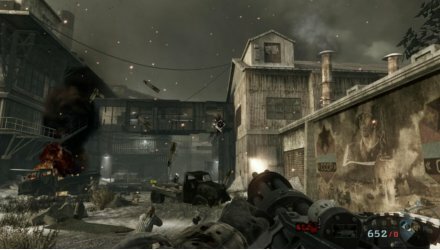 Black Ops also seems better for players sat in the same room; its co-op modes (like zombies or online multiplayer) can be played with two players in split-screen while the four player same console play can be done with four players and all items are unlocked from the go making it a perfect testbed and a good laugh. Treyarch threw a curveball by including the Nazi Zombie mode in their last game and they have brought back the insanely popular mode in the new game with a few subtle tweaks. If you don’t have the Hardened or Prestige editions (who receive the four maps from World at War on top of the normal maps), you start with only one map with slots remaining for two other zombie infested environments. The mode is a slightly more complex than its predecessor which actually makes it worse; I wasn’t much of a fan of the DLC maps in WaW which added more goals (such as turning on generators or linking teleporters) to achieve than simply killing zombies and surviving. However, one of the modes (DOA) is a great dual stick shooter that is even more fun than the other modes. Also one map you unlock at the end of the game also lets you play as JFK, Nixon, Castro or McNamara in a zombie fight inside the Pentagon which is pretty cool (especially when Nixon starts wheeling out the Futurama references). However, one of the greatest things has to be the terminal system. The main menu is actually more than a simple list and if you can break your way out of your restraints, you can walk round the room. The only thing you can interact with is a terminal which if you use the correct console commands, allows to unlock the other two zombie mode maps, various sets of concept art, soundtrack and easter eggs but also a fully function copy of Zork. I love this kind of easter egg that not only fits into the game (such as with all the historical documents) but also is packed fully of interesting stuff. Bravo to Treyarch for including it. Another point to make is one of technical difficulties with the PC version. By the sounds of it the problems are being fixed but at time of writing the multiplayer seems rather broken with players unable to invite friends to games quite regularly on top of general lag, technical issues and other badness that is the sign of a bad console-to-pc port. It’s a bad sign when on launch night the PC edition box wasn’t open until the 60th customer in the queue. I think it might be time to just admit that sadly the PC is no longer the target platform for Call of Duty despite it being where it originated. Black Ops is a metric ton of fun if you’re a Call of Duty fan who enjoys the multiplayer/single player already. It’s not a massive overhaul through so if you don’t like CoD this will not change your mind. 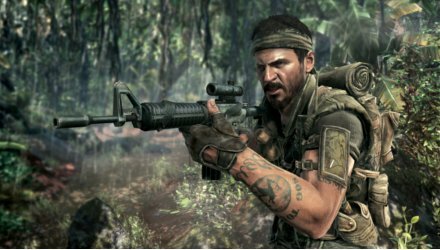 I have to say I agree with a view floating around the internet; the next game in Activision’s shooter series has to be a change on the same level as that of Modern Warfare as the current model is rapidly getting old.